For businesses, how they manage their employee expenses can be a determining factor for whether they will succeed or fail. Expense management encompasses all of the different processes and policies that companies have in place to control, manage, and track expenses. Without strong policies and procedures, like employee cards, the expenses can quickly spiral and could potentially cause the businesses to fail. According to Hiscox businesses affected by theft from employees lose on average $1.13 million. Despite the importance of expense policies and strong controls, a survey that was completed by Certify found that 22 percent of the companies did not have policies for expenses in place. Companies also have been slow to automate their expense procedures, and 65 percent reported that they manually check for violations. Certify found that 20 percent of expenses that employees submitted on their expense reports violated company policies. Finally, 25 percent of companies were using web-based systems to track and manage expenses while 47 percent reported that they were still using spreadsheets. Some business owners make the mistake of trying to invest in their businesses before they work to make more money than they spend. Businesses should first concentrate on growing their profits before they invest in expansion. A greater number of businesses have problems related to not knowing where they are at and where they are headed. Implementing procedures and policies can help companies to understand where they stand financially at any time and the direction that they are heading. Businesses can implement several strategies to help them to follow the rules of managing expenses. They can draft policies for allowed expenses and travel and entertainment expenses. They can also draft budgets and track their spending carefully. Companies can learn about where their money is being spent by conducting an expense management survey. They can then draft budgets and policies that address areas that are problematic and that could expose them to fraud. They can also make certain that the approval process for expenses is clear and easy for the employees to understand. An employee expense includes any purchase that a worker makes for his or her employer. These types of expenditures might include travel expenses that are related to the business, entertainment expenses when employees entertain clients, purchases of needed items for the job, fuel expenses, and others. Tracking employee expenses is important. Businesses that do not keep careful track of the expenditures at their companies might have little idea of where they are at financially. Poor or non-existent tracking of expenses may also lead to ballooning costs, increased losses, decreased profits, and internal and external thefts. There are several methods that businesses might use for expense tracking. Businesses might use employee reimbursement methods in which the employees are required to spend their own money and then to submit reports of their expenses. The employees then have to wait for the reimbursement requests to be approved before they will be repaid. Expense reimbursement systems can lead to several problems. Employees might lose business receipts or forget to turn them in. They might also not turn in their reports on time, leaving accounts payable staff to waste time trying to track them down. Employees may become angry if they have to wait several weeks to be paid back the money that they spent out of their pockets. Finally, employee reimbursements may be the targets of fraudulent schemes. In one illustrative case, two married executives entered guilty pleas to defrauding PACE Worldwide, their former employer, by submitting fraudulent reimbursement claims. The couple sought reimbursements for their timeshare in Barbados, luxury bedding for their dog and for themselves, and other personal expenses. The couple submitted forged invoices and receipts over a seven-year period, causing a loss to their employer of $1 million. Other methods of expenditure tracking include giving employees credit cards to use to make purchases. However, credit cards may also be used to make unauthorized purchases, and employers might incur interest and high annual fees. Some employers avoid the problems associated with expense reimbursements and credit cards by giving their employees debit cards to make purchases. Purchases that are made with debit cards are subtracted from the businesses’ account balances, helping to make spending more transparent. Business owners can also place restrictions on the cards so that their employees can be limited in how much they can spend, where they can make purchases, and when the cards can be used. Most businesses have routine needs for small expenditures, and it might not make sense to require employees to submit requisitions before they make these types of purchases. In order to allow employees to make small purchases on an as-needed basis, businesses might rely on petty cash funds. There are a number of disadvantages of cash funds for expenses. Managing cash flow in the funds can be problematic. Cash to employees for expenses may be difficult to track. Employees may fail to turn in receipts. Custodians of the funds may have trouble with recording transactions, and the time spent to track business receipts could be better spent on other tasks. Cash funds at businesses may also have added risks of internal thefts. Some employees may be tempted to steal small amounts from these types of funds, leading to losses for the companies. There are better methods for providing money to employees so that they can make small purchases. One alternative is to give workers debit cards that have spending limits and expense controls. The employees can charge purchases on the cards at the time that they need to do so, and they can photograph the receipts and submit them electronically. This can help to reduce the risk of thefts and eliminate the need to save and track paper receipts. Employee expense cards are cards that companies can give to a specific group of employees. The workers who are given cards to use are able to use them to purchase authorized items according to their company’s expense policy. Employee cards can help businesses to manage their expenses better in multiple ways. Unlike systems in which companies make their employees spend their own money and then wait to be reimbursed, using expense cards allows the employees to use the company’s money for purchases. This can help to improve employee morale and to eliminate reimbursement systems and the problems that are associated with them. When companies give their employees cards to use for purchases, they can also get rid of cash fund systems that give cash to employees and that require custodians to track the cash flow. This can eliminate the potential problem of internal cash thefts. There are several advantages of an employee debit card. Debit cards for employees might have a number of important controls. 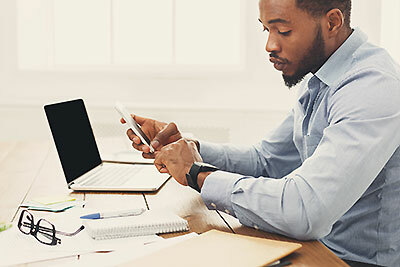 With some cards, business owners are able to set spending limits by the day or week, restrict spending to specific merchants, and turn the cards on or off from anywhere on a mobile device. These types of cards also allow business owners to see the spending that occurs on any individual card in real time by simply logging into the business’s dashboard. 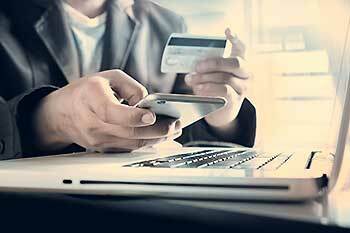 Debit cards for employees offer several advantages over other types of expense systems. The cards can have restrictions placed on them according to individual employees’ jobs. Business owners can set different spending limits to each employee and determine how much the employee will be allowed to spend by the day or week. Other advantages of an employee debit card include the ability to turn the cards off or on whenever you want. Unlike credit cards, employers can turn a card off instantly if they see a problem with how it is being used. A card can also be turned on remotely at any time. Debit cards allow business owners to see the expenses of their company at any time so that they can stay on top of their budgets. Expense debit cards may allow the automatic importation of transaction information so that the businesses can avoid manual data entry errors and minimize the risk of fraudulent accounting practices. Business debit cards may also allow employees to take pictures of the receipts using their smartphones. The pictures can be sent together with the expense information instantly so that both can be uploaded together into your company’s small business tracking software for expenses. Some businesses opt to get prepaid business credit cards for their employees. Prepaid business credit cards are not true credit cards. Instead, they are prepaid cards that the businesses can purchase in specific amounts. The employees who are given prepaid credit cards can then use the cards to make purchases from merchants who accept credit and debit cards. Prepaid cards are not the same as debit cards. Unlike debit cards, cards that are prepaid are not linked to a business’s debit account. Instead, the amounts that are available on the cards are limited by how much the businesses placed on the cards when they purchased them. Businesses get prepaid cards for business needs as a simple way to keep the spending at their companies in check. The employees will not be able to spend any more than the amount that the businesses place on the cards. 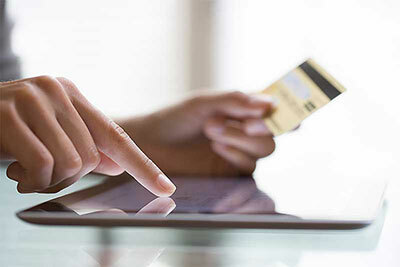 Businesses can get prepaid cards by ordering them online or purchasing them from specific merchants. 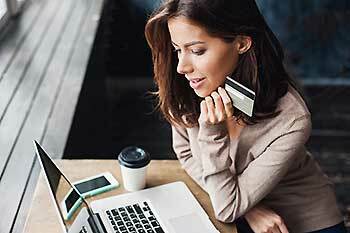 While prepaid credit cards may offer some benefits, debit cards may be a better alternative. With debit cards for businesses, the companies can restrict the spending by the day and turn the cards off when their employees are not at work. They can also restrict what the cards can be used to buy in accordance with their company policies. Debit cards also provide better expense visibility. Bento for Business does not offer cards that are prepaid. 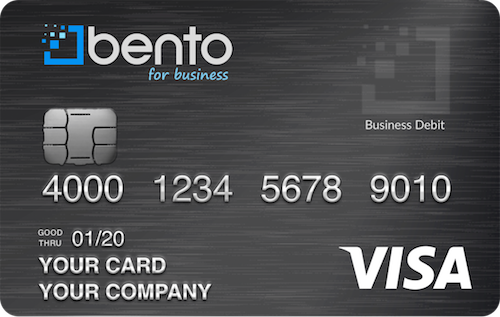 Instead, the company offers the Bento for Business Visa debit cards. Modern business expense tools offer businesses the ability to control their employees’ spending, to track each expense that happens in real time, and to shut down any card for misuse instantly from a smartphone by using a mobile expense app. An expense application automates expense tracking and reporting. 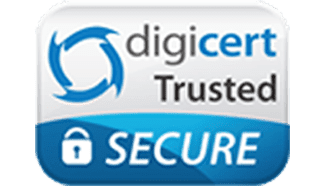 These types of tools and apps help businesses to reduce the risk of fraudulent activities both from within their companies and from outside. Businesses can check their own areas of risk by answering some questions on a free fraud calculator. This can help them to make adjustments so that they can reduce their risks. The ability to control employee spending and to track employee expenses is crucial. Having good applications for expenses can help businesses to plug expense leaks and to reduce their costs and losses. Small business tools can help businesses to automate how they track and control their business expenses. Incorporating debit cards as a payment method can help businesses to take advantage of the available apps and to exercise greater controls over the spending that occurs. How each employee uses the card that he or she is given can be seen at any time on a mobile device. If there is misuse or if a card is lost, the employer can turn the card off instantly without worrying about having to recover it. Business tools help to automate AP processes and can eliminate systems with high transaction costs for small purchases. Businesses can avoid systems that require requisition forms, purchase approvals, and checks that can involve significant costs that might outweigh the value of the items that are purchased. Some business Visa cards have built-in controls that allow you to limit what employees are able to spend. Businesses can also restrict where the cards can be used for business purchases. Businesses are able to learn how to improve how they track expenses because the debit business cards are trackable. The cards are an excellent business expense management solution that helps to track business purchases by the employee or by a department. Businesses can also turn the cards on or off whenever they want. For example, the cards might be set to work only during an employee’s normal working hours and to turn off when the employee leaves at the end of a shift. They are a card issuer that was founded by professionals in the financial industry. 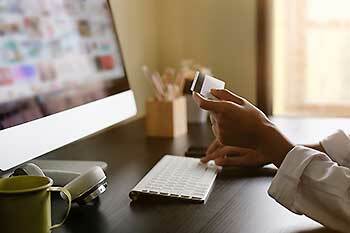 The company offers payment and expense control solutions to businesses of all sizes with its debit business cards. The cards come with expansive expense features and controls that can help to reduce losses from misuse. They have thousands of customers across the U.S. and have also received hundreds of positive reviews from its many loyal clients. The company has been profiled in national publications and is recognized as a leader in the payments space for businesses. Forbes profiled them as a leading company for the extensive controls it offers to small businesses. Bento offers a free 60-day trial to businesses. This allows companies to try the cards before they decide to buy them so that they can see how they can control spending with them. You can also request a demo so that you can view how the business Visa cards would work if you incorporate them into your business. To learn more, call us at 866.220.8455 or apply now.